This is a shot of the ‘stage’ band from our recent performances of Shostakovich’s titanic Seventh Symphony (minus Roger Clarke on 1st Horn). 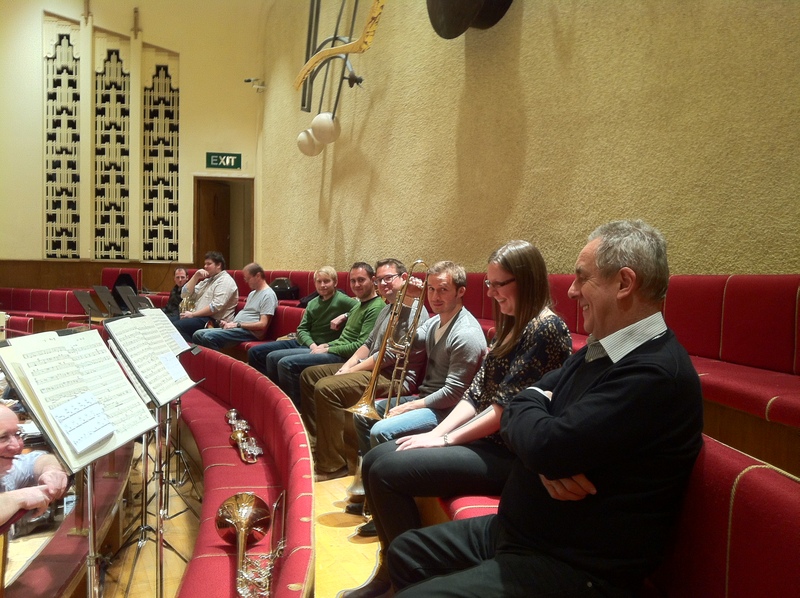 It also has my smiling face on the bottom left, from the RLPO orchestra brass section. We will shortly be recording the symphony; something the orchestra is greatly looking forward to. Hopefully it will be one of the best additions to our multi award winning complete Shostakovich cycle for Naxos, with RLPO Chief Conductor Vasily Petrenko. This entry was posted in The Brass Section, The Tour Blogs & Brendan's Solo Blogs. Bookmark the permalink.